We’ve moved! Now located in the Carrollwood/Forrest Hills Area of Tampa. All services are by appointment only. Oakstead Studio Special – Mini Capture Session & 25 double sided 5×7 flat, custom designed GRADUATION ANNOUNCEMENTS that include 2 images. $199 Valid March 1 – 31, 2015. If you’ve had a capture session with us, your entire catalog of images are available for purchase at a drastically reduced price. Pricing is based upon how recent you were captured and the total number of images we currently have from your session. Files are unedited. Email us for pricing and delivery details. These files will be available starting March 1, 2015. Once we’ve completed our upgrade to our vault, all stored images will be gone forever. We have restructured our studio offerings and will no longer be retaining files from our capture sessions. Class of 2014….it’s finally here, the end of your senior year! Graduation is knocking at your door. College choices have been made, plans are set. It’s time to do something special for yourself, you’ve earned it! Personalized, professional senior pictures that express your personality and style. Our sessions are tons of fun and anything but boring! For 2014, created just for you, we’ve added several epic senior photography specials that will get you just what you want and are budget friendly too. Don’t trust your milestone senior year memories to inexperienced friends with a cell phone or photo enthusiast who just got a brand new camera. We’ve been photographing High School Seniors since 2007 and have hundreds of senior sessions under our belt. Serving both Hillsborough and Pasco Counties we’ve photographed numerous high school seniors at Alonso, Berkeley Prep, Blake, Carrollwood Day School, Freedom, Gaither, Hillsborough, King, Sickles, Steinbrenner & Warton in Hillsborough. Our Pasco county reach extends into Land O Lake, Sunlake, Wesley Chapel & Wiregrass Ranch High Schools. We are experts at getting the job done right Best of all…giving you photos that you will love and treasure! 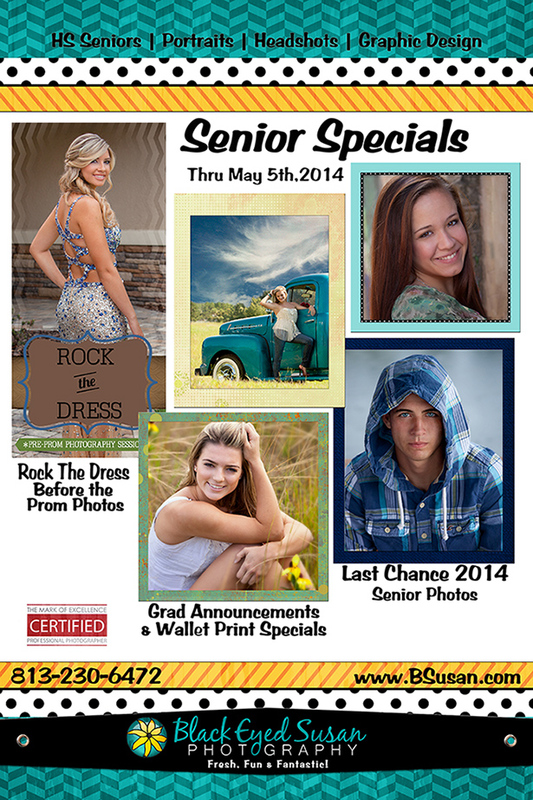 For a limited time, through May 5th, we are offering several senior graduation exclusive package deals. Check it out….. Looking for something extra special for your pre-prom gathering of friends? Our professional team will come to your location and capture all the pre-prom fun. We will create a photo keepsake that you can share with all your friends! Session price is all inclusive and includes our time and talent, a really cool photo app with up to up to 40 of your favorite photos for quick and easy sharing and a proof DVD of all images captured. Your pre-prom party will be the envy of all those not in attendance. App works on smartphone, ipad or computer. (An example of the app is on our web site and features our Grad. Cards.) Do not delay..book quickly as we can only accommodate 1 school prom per weekend. Distances greater than 15 miles from our studio will incur an additional $25 travel fee. There is no additional charge for capture locations that are 15 miles or less from our Land O Lakes studio. Rates are just $125 per 1/2 hour with a 1 hour minimum, everything included! Payment must be made at time of reservation to guarantee your spot. Didn’t get your senior pictures taken? Don’t like what the school photographer or other studio did? Here’s a great deal for you…. Your choice of either indoors in our delightfully air conditioned and fully equipped pro studio OR outdoors in our beautiful Oakstead community. Session includes capture time & talent, 1 outfit and approximately 1/2 hour to 45 minutes of professional capture. You can add an additional outfit for $20 each. Package includes 2 digital images and 48 wallets (1 pose) for your grad announcements. 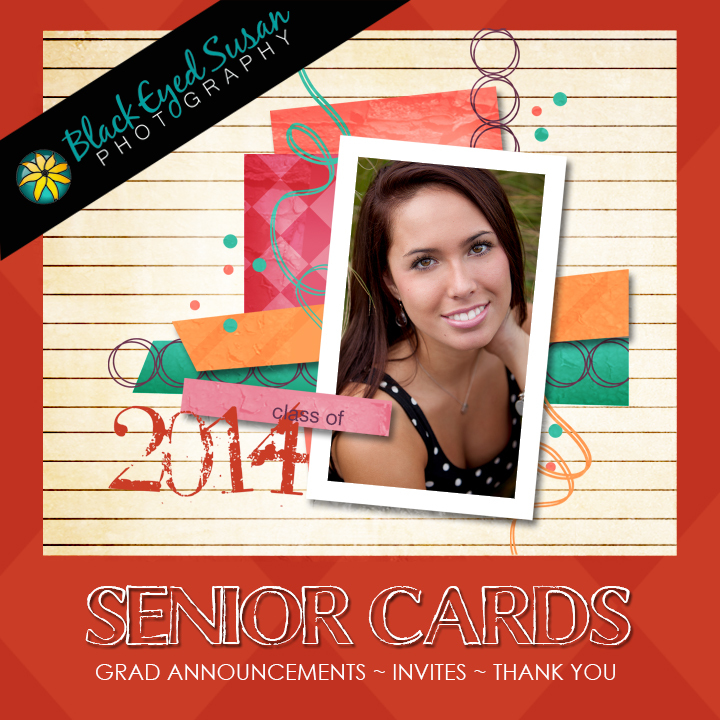 (We also have custom and pre-designed grad announcements. All inclusive pricing $299 (tax not included). Sessions are limited based on our availability. Already had your senior photos done with us? We have a great Wallet Special for you as well. Order 48 Wallets (1 pose) for only $57.50. This is 1/2 off our regular price. Don’t delay…order yours today! We also have a brand new line of wallet template graphic designs to add. Make your photos really stand out! Be sure to let us know that you are interested in our templates when placing your order. Promotion expires May 5, 2014. We will be accepting orders through May 4th for delivery by May 19th. Our grad announcements are really cool! Be sure to check out our online app catalog for designs. Note: Many of our ready-made templates are the creative talents of numerous graphic design sources. We’ve selected our absolute favorites to add to our services offerings. Designs created by and that are exclusive to SuziBeeDesigns will carry the SuziBee logo.